Andrew Isles natural history books Mail order new and secondhand field guides natural and history books. Stainless Steel Insulated Water Bottles Stainless steel double insulated water bottles with neoprene jackets. Will keep cold water cold for up to 48 hours. These are excellent bottles our guests use on tour and often want to buy for their own use. Bird Journal Bird Journal Software. 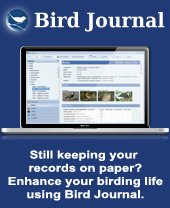 Build up a database of your bird and wildlife sightings and photos. This program is now free in its basic form and can be uploaded to your pc and mobile devices. See 'Bird Watching Tips' for details on how to download this program to your computer. Zen-Ray Optics Quality binoculars and scopes at terrific value for money. Now available from Experience the Wild! CMS for Designers CMS stands for content management system. All the functionalities of this site were provided by Ashley Maple at Elpamsoft and the design layout is constantly being upgraded by yours truly (many years in graphics and design in a previous life comes in handy). If you have some design experience and want to create a content management system website, contact Ashley! If you would like a designer to create a website for you using CMS for Designers, you can contact me.